A mix of clouds and sun. Slight chance of a rain shower. High around 60F. Winds ESE at 10 to 15 mph..
Cloudy. Periods of rain early. Low 46F. Winds NNW at 10 to 20 mph. Chance of rain 90%. Rainfall near a quarter of an inch. 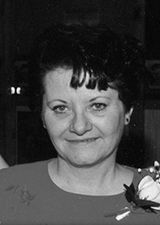 CALEDONIA—Penny L. Hansen (nee: Taft) 71, passed away at Ascension Healthcare Franklin Campus on Monday, February 4, 2019. Penny was born in Kenosha on June 9, 1947 to Paul and Virginia Taft. She met Roy Hansen and they married in 1970. Penny was a past Supervisor for the Village of Caledonia. She was a horse lover and enjoyed spending time tending to her horses. Penny will be dearly missed by her husband Roy Hansen and daughter Amy Hansen. She is further survived by other relatives and friends. Funeral services for Penny will be held at the West Lawn Memorial Park Chapel, 9000 Washington Avenue on Monday, February 11, 2019 at 1:00 p.m.